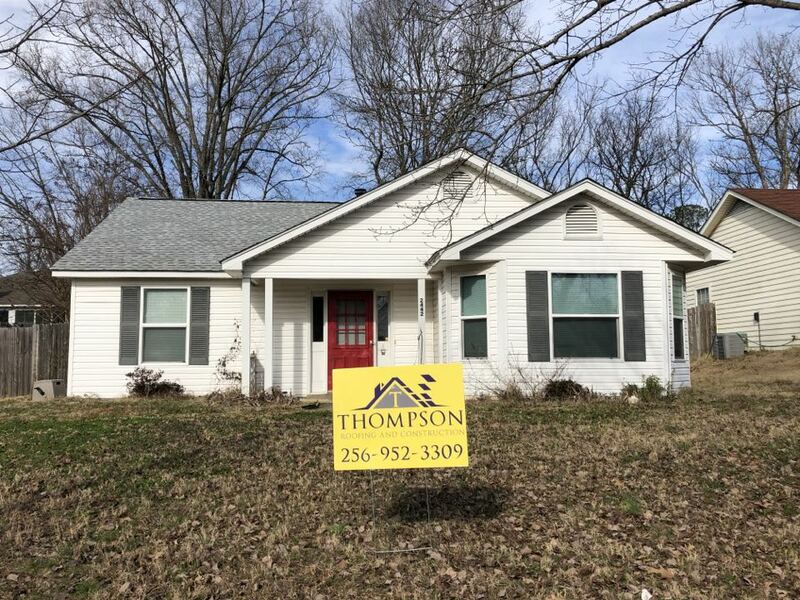 As a locally owned home improvement company, Thompson Roofing and Construction understands what homeowners in Huntsville truly need. As a family business, we know the importance of caring for our customers like they’re part of our own family. Our passion is working with homeowners to make their living dreams a reality. Aside from simply being a licensed and insured contractor, Thompson Roofing and Construction is a GAF Master Elite Certified Roofing Contractor. This lets us offer some of the best asphalt shingle products in the industry, as well as generous warranty terms that only GAF-certified contractors can provide. To help you ensure that your roof lasts and you get the most out of your investment, we also have roofing maintenance services available you can take advantage of. Looking to expand your home? Thinking of upgrading your gutters? Interested in new siding? We also offer services for additions, carpentry, framing, flooring, gutters, siding, and new construction in Huntsville AL. 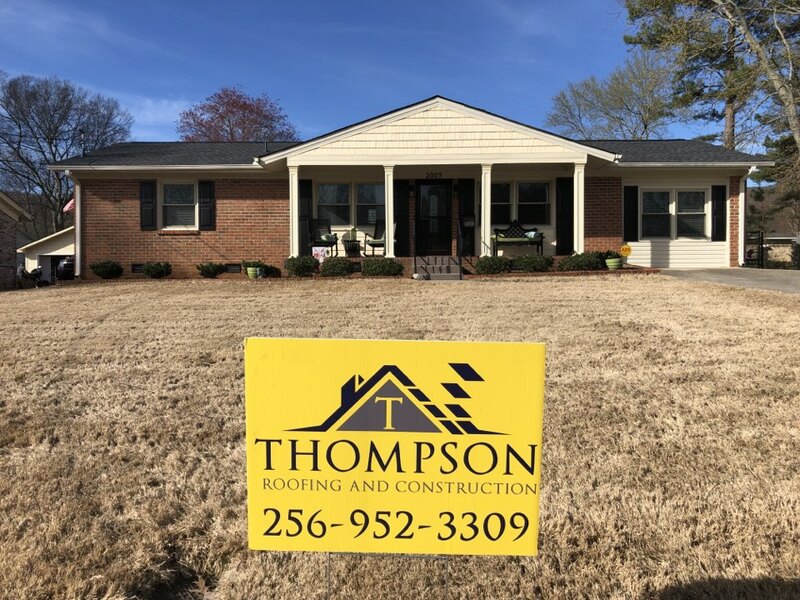 Thompson Roofing and Construction has its roots in Auburn where founder Dustin Thompson initially gained experience in the construction industry. 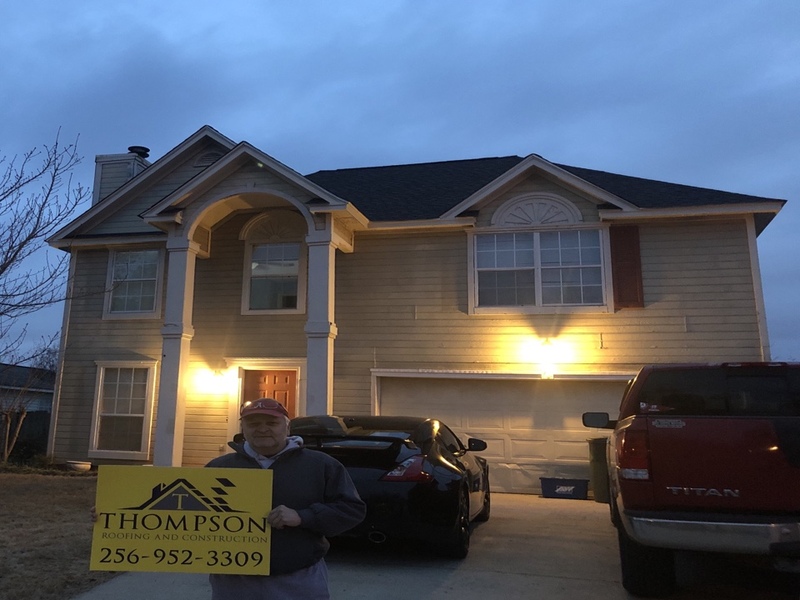 He worked with many other construction and roofing companies but always wanted to have his own business so started Thompson Roofing and Construction in 2008. Today, we serve Huntsville and surrounding communities, such as Decatur, Madison, and Athens. We’ve been providing residential property owners with a range of products and services to address their every need. We also have financing options available through GreenSky, in order to make it easier for you to afford achieving your dream home. Call us today at (256) 952-3309 to learn more about what we can do for you and your home! You can also fill out our online request form to schedule a FREE consultation. Pleasant people to work with, and the work was amazing! We love our new roof! 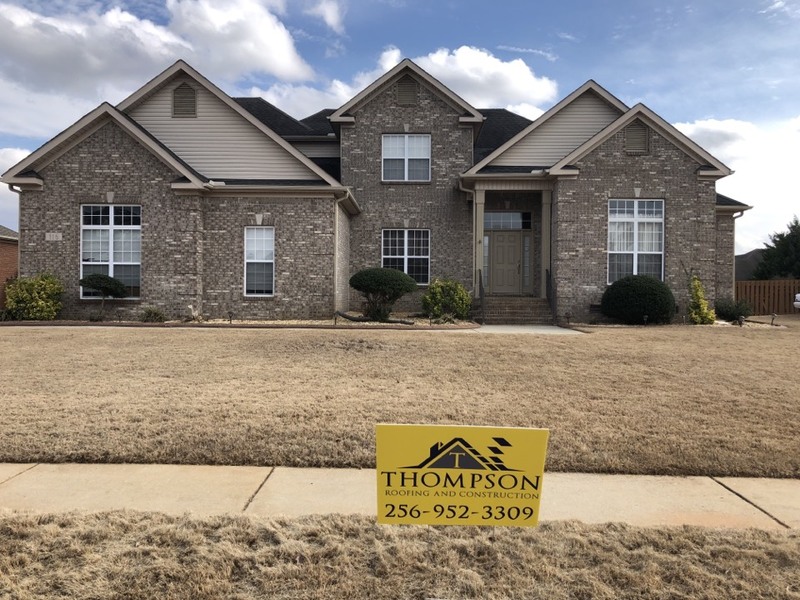 Thompson Roofing and Construction specializes in low slope roofing systems for your residential needs in Huntsville and surrounding areas. 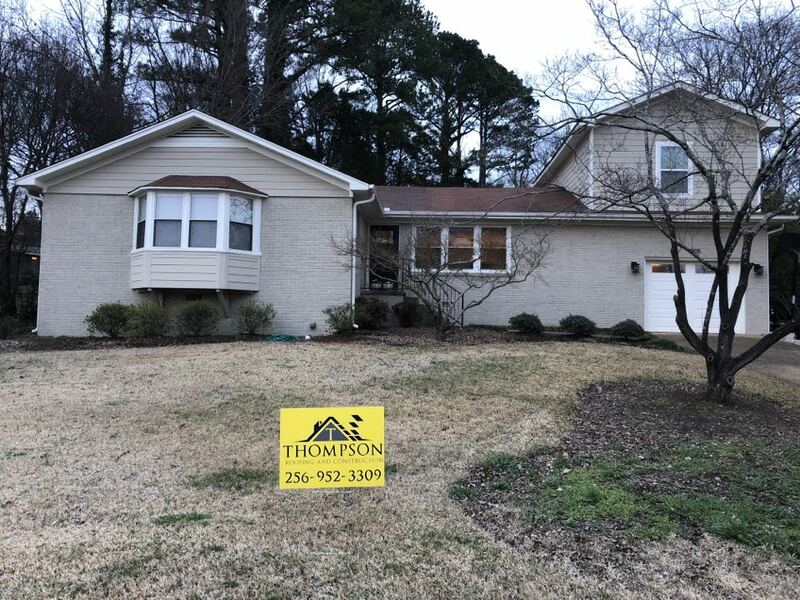 New siding, windows, gutters, and roofing in Huntsville gives this house a fresh look! 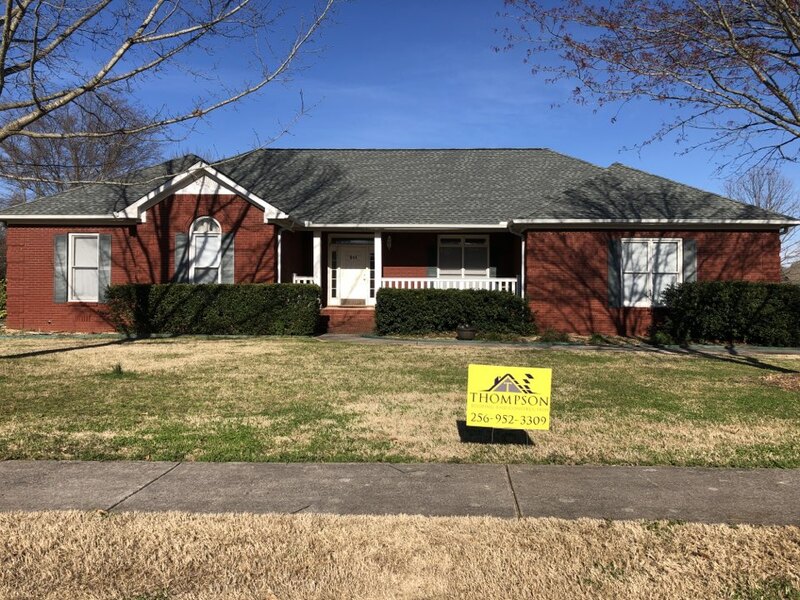 Wind damaged roof in Huntsville with our Advanced Roof System looks great! #gaf #masterelite #thompsonroofingandconstruction We found water damage on this roof. Thanks to GAF Timberline HD, we found a happy customer. 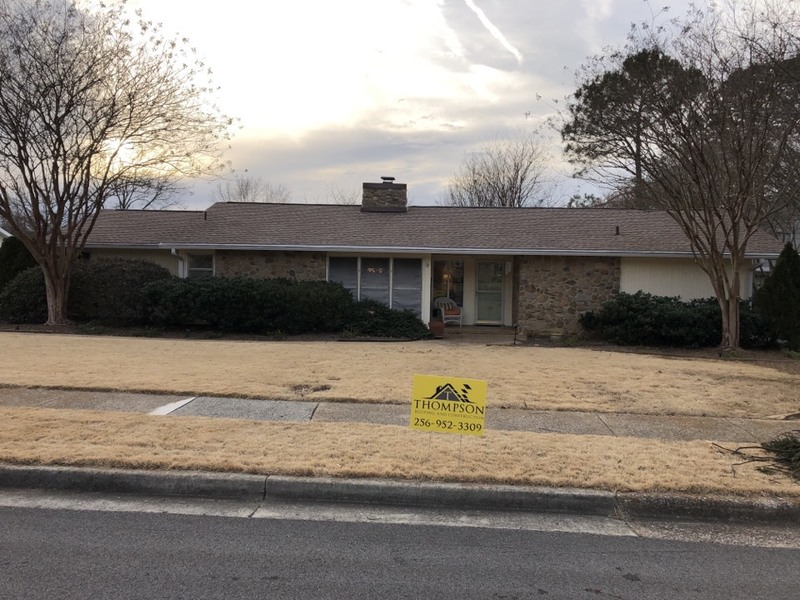 Quality roofing repairs in Huntsville by Thompson Roofing and Construction! 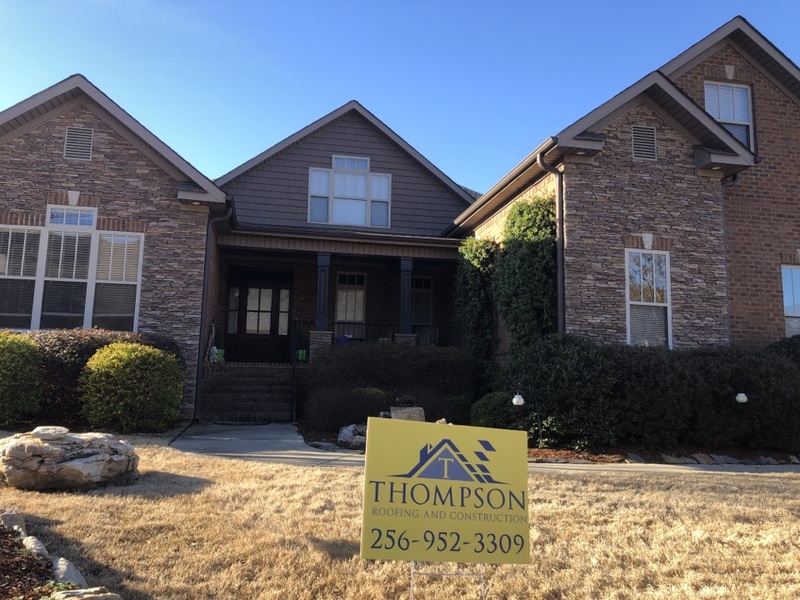 Another quality repair in Huntsville by Thompson Roofing and Construction. Ultimate Roof System and chimney cap in Huntsville makes this house look nice. 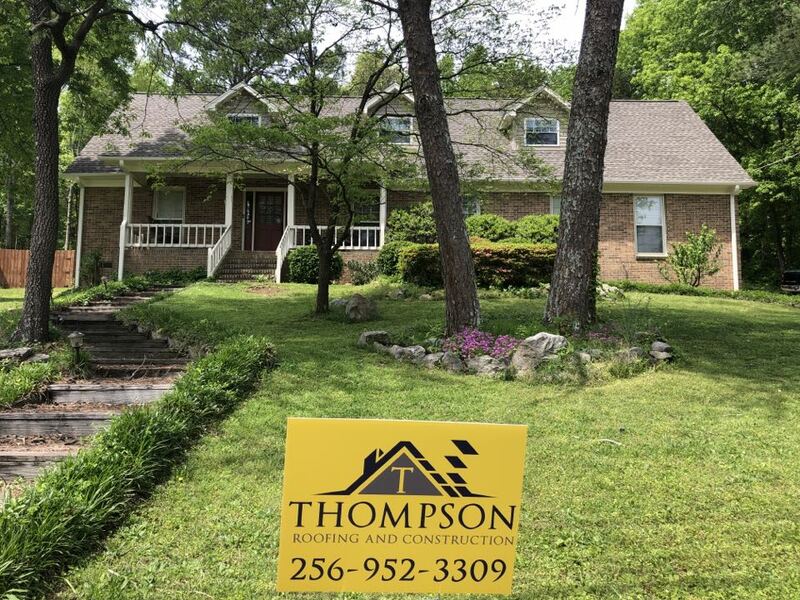 Quality roof repairs in Huntsville by Thompson Roofing and Construction! 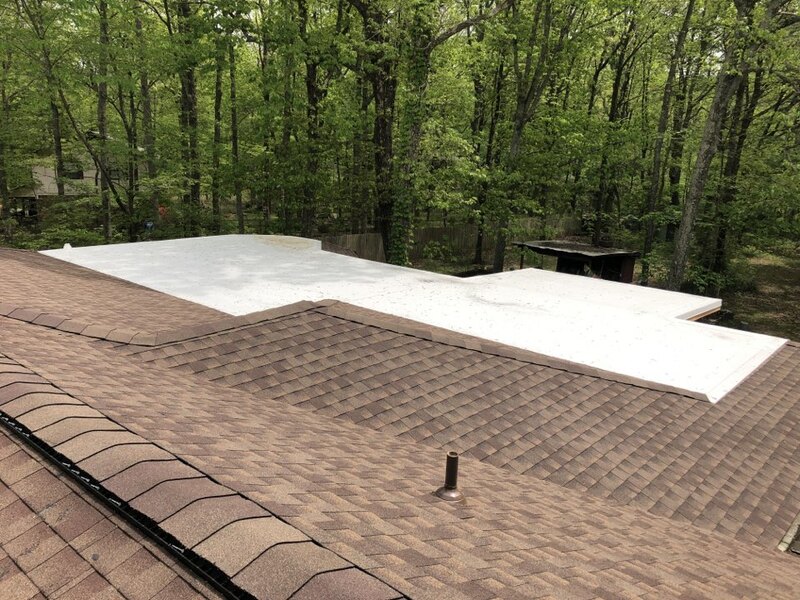 An Ultimate Roof System with a 25 year workmanship warranty newly installed in Huntsville!